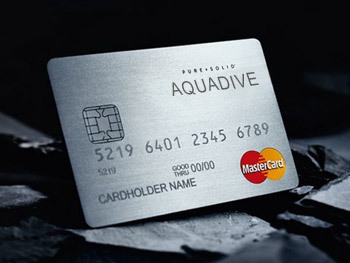 With an Aquadive, you know what you are diving with. 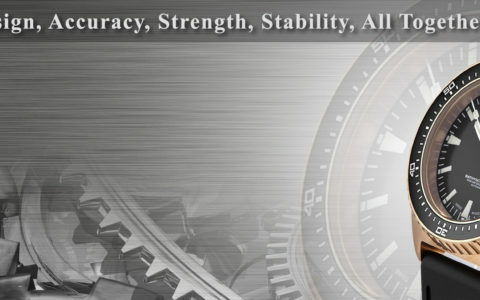 We take a lot of pride in how today's watches are manufactured. 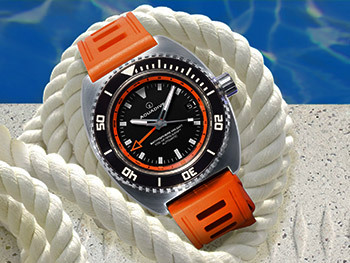 Like their predecessors, all dive watches are designed in the USA. 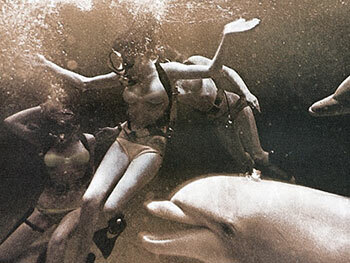 In the 60s and 70s, divers the world over knew AQUADIVE. 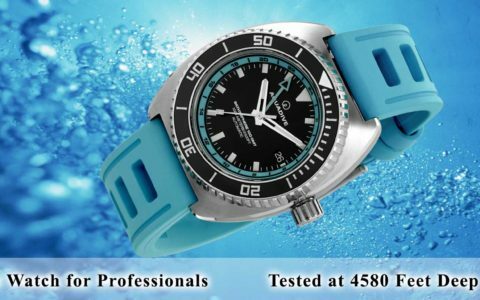 Aquadive's professional dive watches were highly sought after for both their toughness and their reliability under extreme conditions. Hand crafted form followed functional beauty, reinforced by Aquadive's close attention to detail. 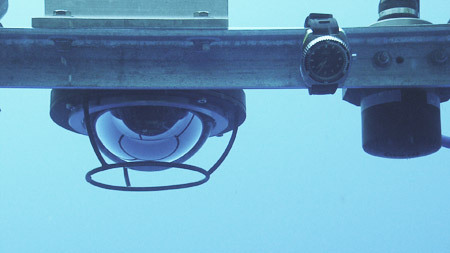 These were the hallmarks of AQUADIVE, making it the go-to watch of professional divers around the world. "I received the Bathyscape 100 today and I am pretty much speechless, this watch is Stunning! 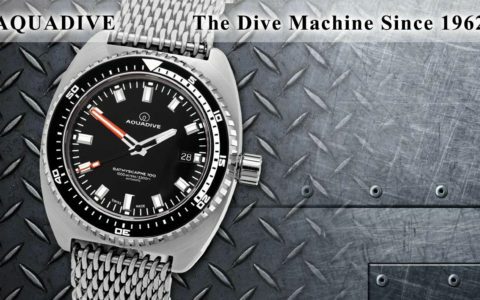 Its the best looking diver, especially for the fantastic preorder price. I've shown it to my brother and he said it was pretty much bulit to perfection and can rank and compete with any other diver out there. I have tried over a dozen 42mm watches and this dive watch is the only one that actually fits perfect! Everything was great, packing, extra Isofrane, and all!" 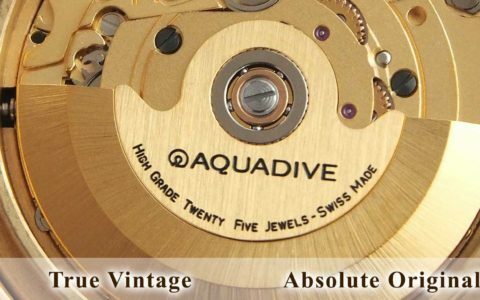 Upon the relaunch of the iconic AQUADIVE brand in the Fall of 2011, our main goals were to produce high-end wrist watches that represent the best value and quality in the industry, and to offer great customer satisfaction in the process. So we obviously chose to incorporate some modern and innovative German technology into our new line of watches, but on the same token also respect and honor the legacy of our original vintage watches by remaining true to their handmade Swiss craftsmanship. Since AQUADIVE's relaunch in 2011, we have reached record heights with the brand. And now, we've reached record lows. 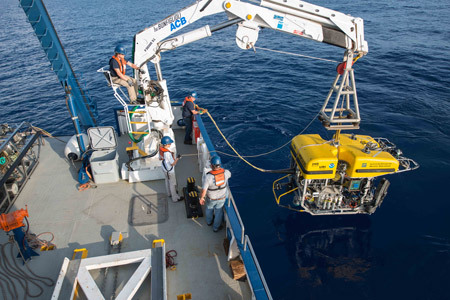 When our engineers designed the new Bathyscaphe 300, they designed it to withstand its rated depth of 3,000m/9,900ft, and even beyond. Last year in Germany, we had the Bathyscaphe 300 pressure tested in a lab at a simulated depth of 3,000m/9,900ft, and it easily passed. 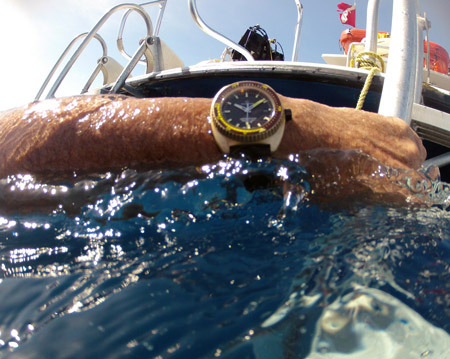 So this year we decided to take it a step further and do what very few watch companies are even capable of, which is actually testing the watch on the ocean floor in the Gulf of Mexico at depths where only a select few legendary and famous dive watches have ever been.